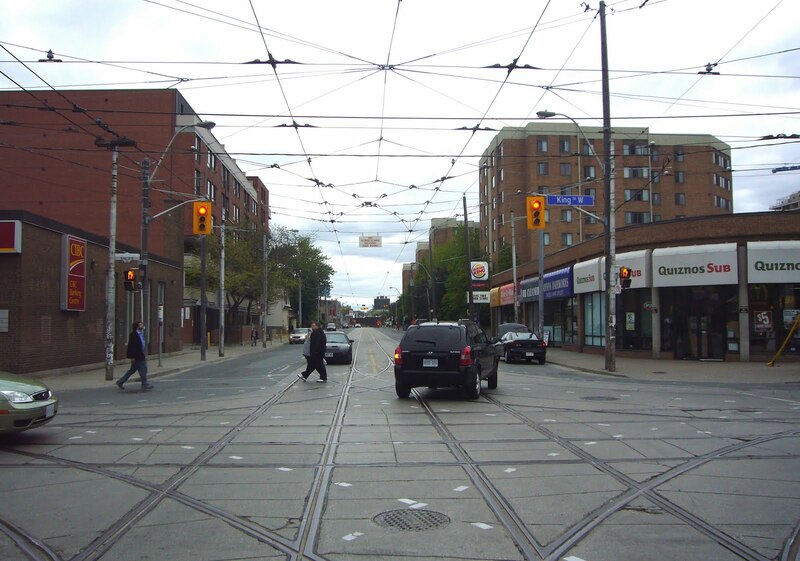 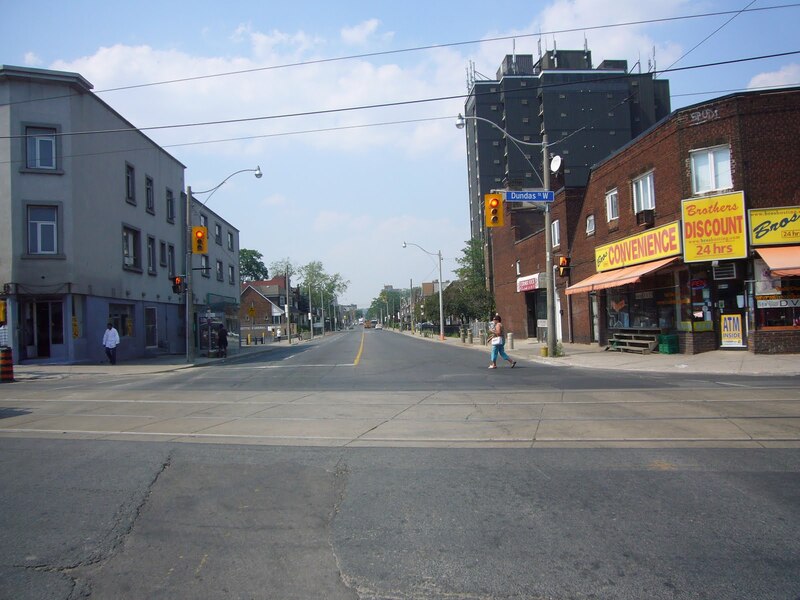 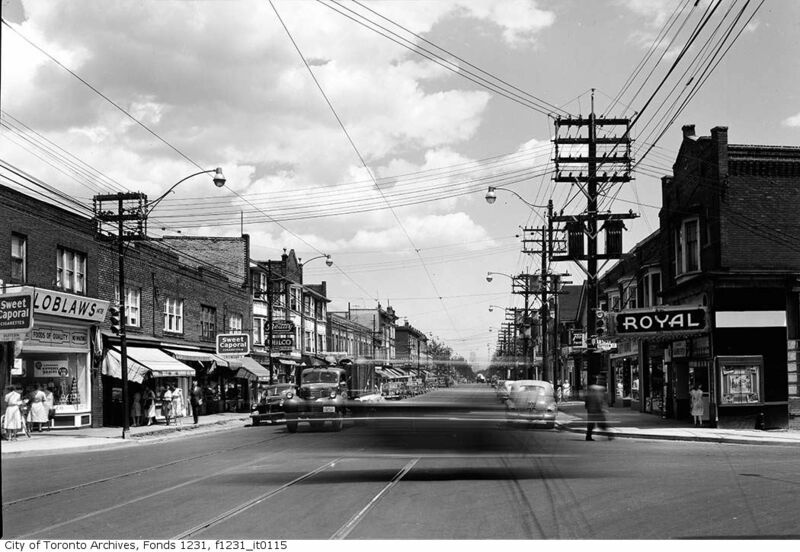 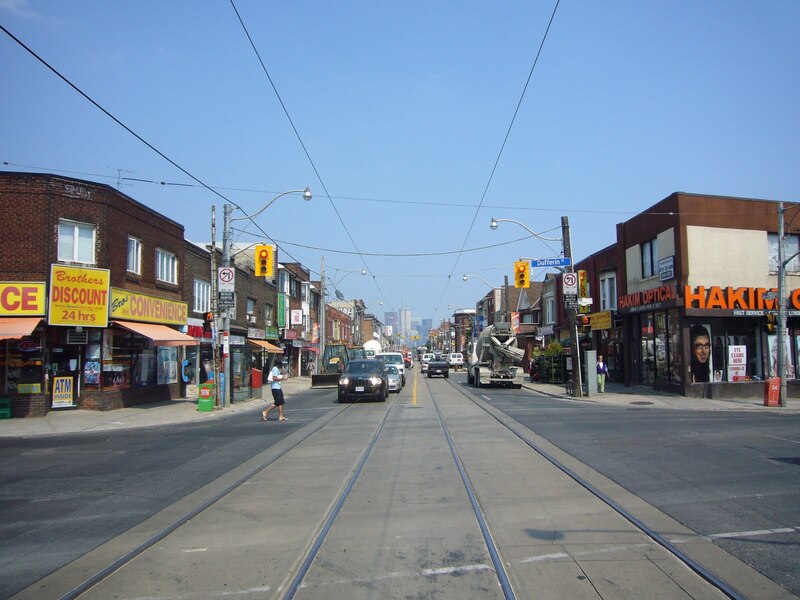 Looking east along Dundas from Dufferin in 1953. 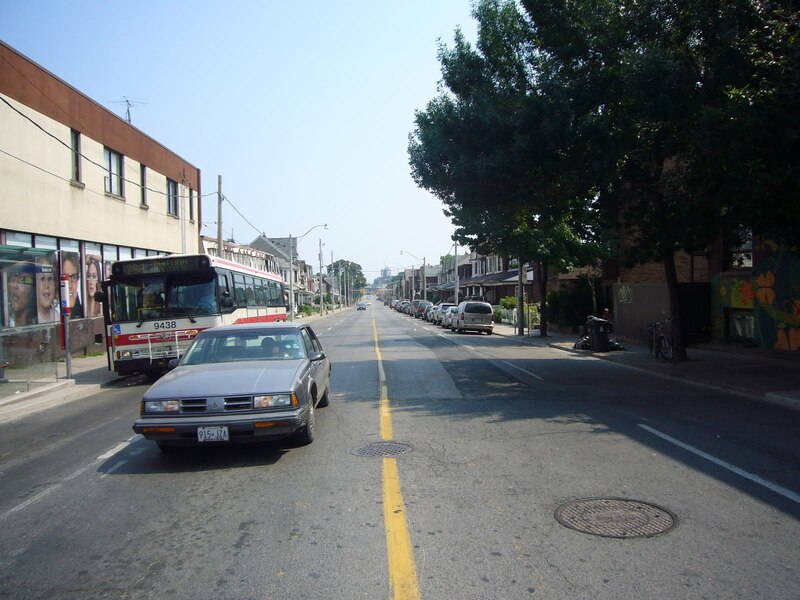 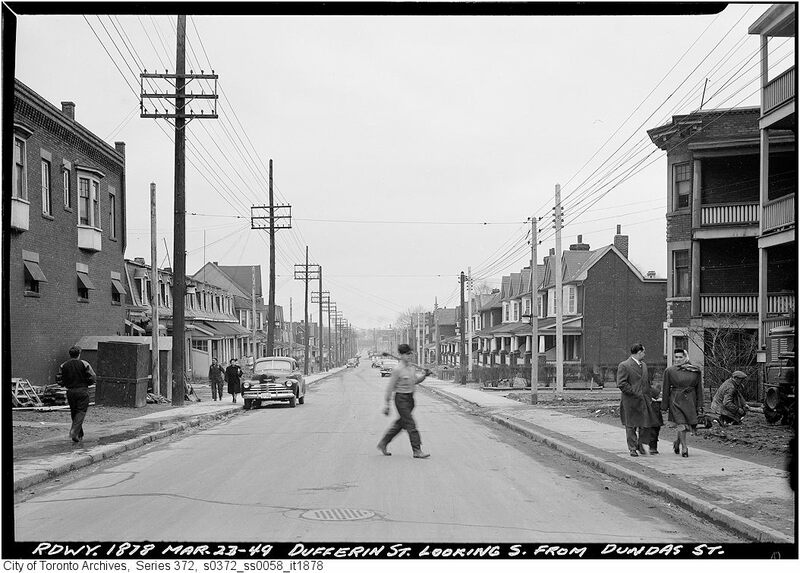 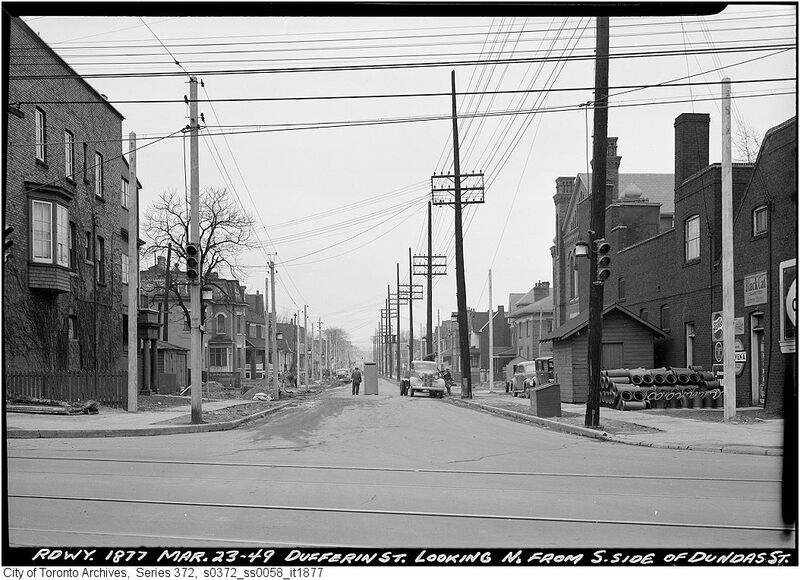 Looking north up Dufferin from Dundas in 1949. 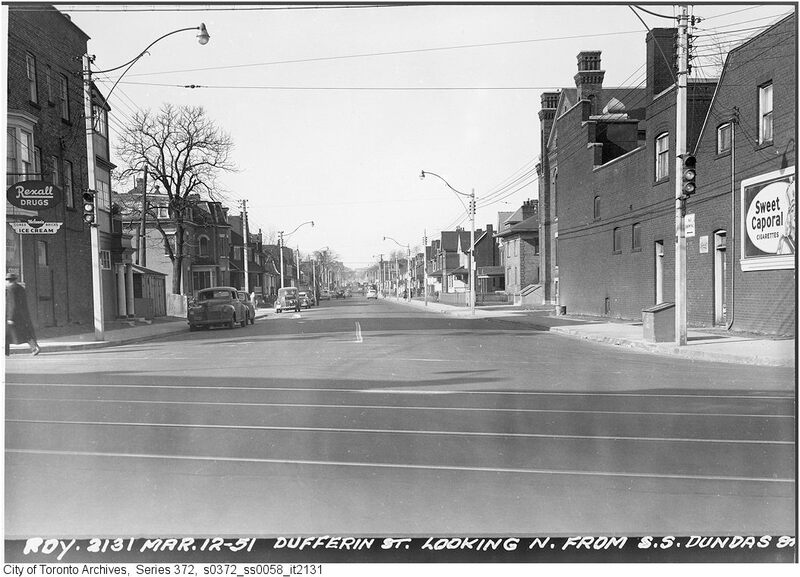 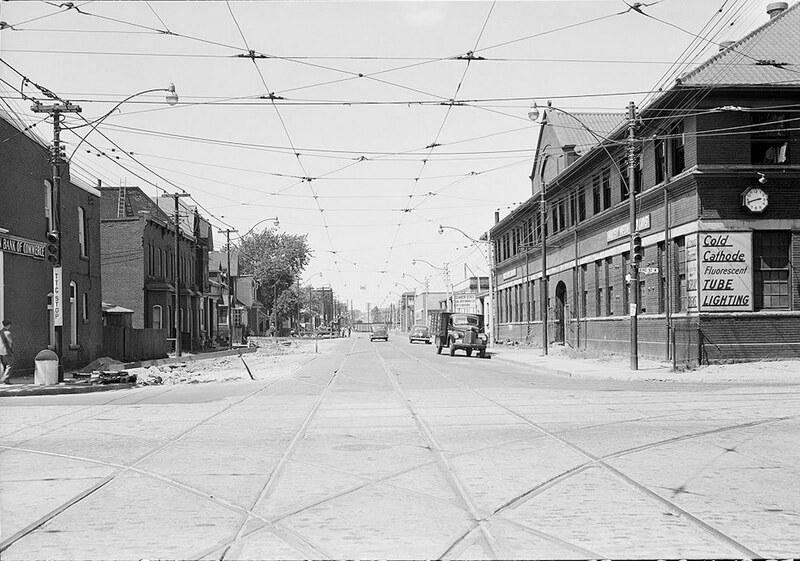 The same view in 1951 after the road was widened. 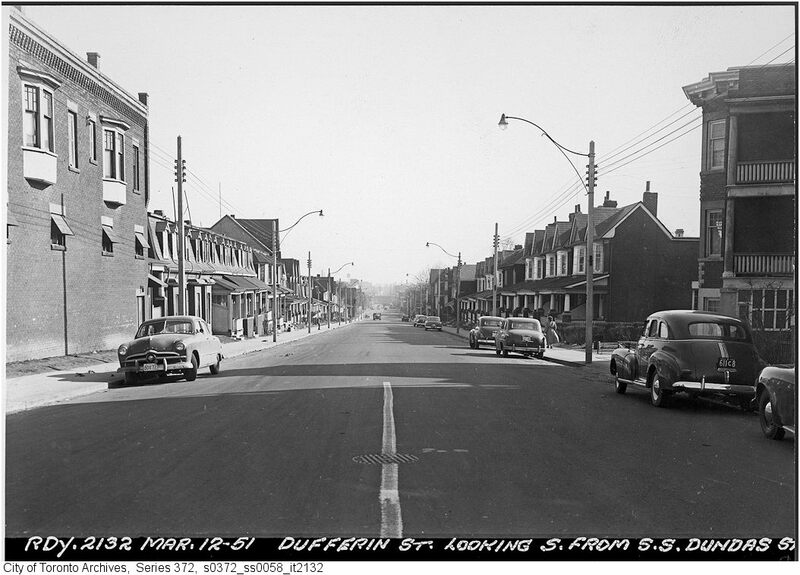 Looking north up Dufferin from King Street in 1949.